They aren’t just lyrics to one of his songs. 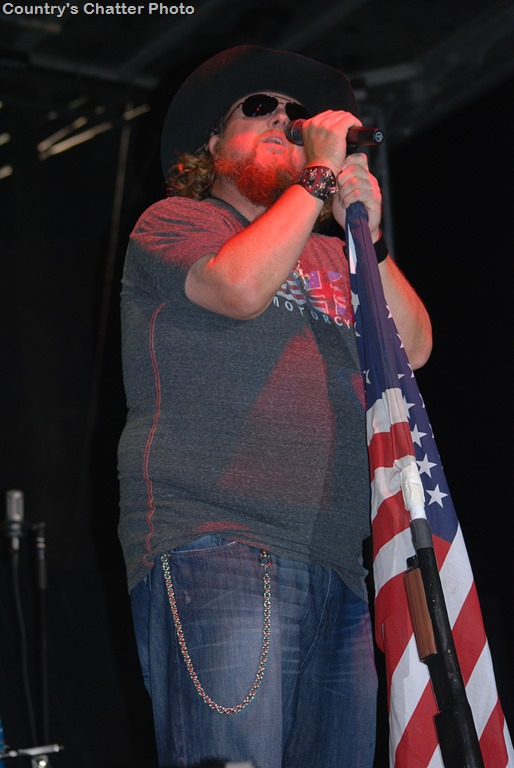 When Colt Ford says, “Time to give thanks where thanks are due, You all more than fans you’re my friends too” – he means it. Those lines are from the song, “Thanks For Listening”. He genuinely appreciates each and every one of us who buy his albums, request his music on the radio, and sit in those chairs at his shows. I have had the pleasure of seeing Colt on stage three times now. I was completely, totally, thoroughly entertained from the minute I sat down in that chair, until the minute I stood up to leave. It isn’t just Colt who is entertaining. I know he was the star of the show. But he has a group of remarkably talented musicians/vocalists on stage with him. And, each one of them has a job to do. They are all individuals who combine their talents in such a way that you cannot help but enjoy every minute of the performance. It’s a production. It’s a stage show. 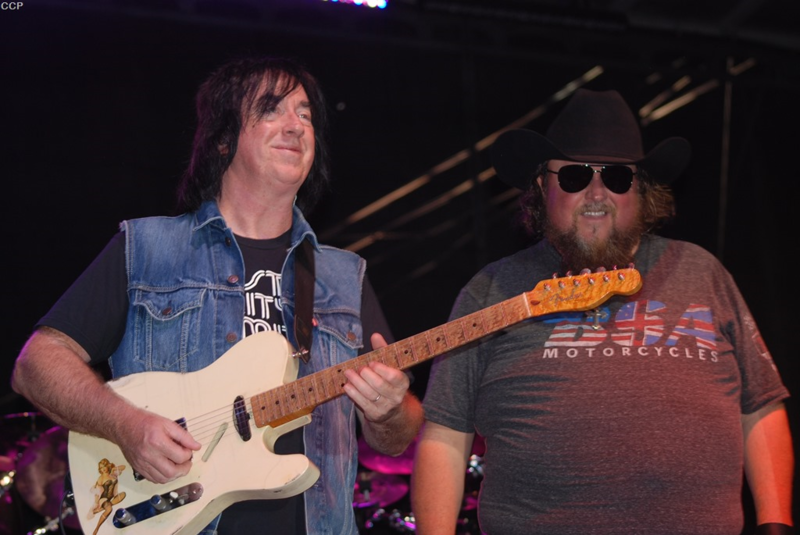 And, all that combined with everything Colt brings to the stage gives us one of the best concerts I have been to this summer. I would imagine, at this point, there are a lot of you sitting back in your chair with your mouths hanging open. Those would be the people who have been reading Country’s Chatter for the past six and one-half years. Those would be the people who know that I am a humongous fan of old country music. The stuff we now call ‘classic country,’ or ‘traditional country’ music. And, yes, I am that person who just doesn’t think there is a real place for rap music in the country music world. But, it’s here. 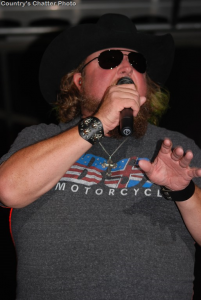 Though the new ‘country/rap’ music is really not what I love, I have to applaud Colt Ford for doing what he does so well that you don’t walk away from his show disappointed. More than that, you walk away wanting to go back – as evidenced in the fact that last night I saw his show for the third time – but not the last time! It’s been a long time since I’ve seen anyone work as hard as Colt does. He, sings, dances, jokes, talks, interacts with his musicians, connects with his audience and painstakingly entertains every person in that audience. From Adam Hale at the merchandise table, and Sarge taking on the roll of road manager, to Colt and all of the guys in the band, this was a great group of people. I can’t go on without taking just a minute to identify those band members for you. Tim Haines, drums; Paul Chapman, bass; Spencer Bassett, guitar; Mark Easterling, guitar; and Justin David, fiddle. I could probably write an entire article about each of these gentlemen. Tim, I wish you had stood up every now and then. I never did get a clear shot at him (always a cymbal or two in the way); Justin – you are nothing but personality! Paul, Spencer and Mark – thank you guys, for not only putting on a great show, but for being so generous with those guitar picks! I got one! And, I’m not alone! It was like you all wanted everyone to go home with a little memento. Colt is an entertainer. He’s a patriotic man, who doesn’t mind talking about his love of this country and his gratefulness to the men and women who serve in our military. He’s flag-waving, country boy from Georgia, who will stand in front of anyone and acknowledge what he feels about this country. You can’t help but like him! I had an opportunity to talk to him, before the meet and greet, and at the meet and greet. And, he wasn’t in a big hurry to get rid of us. Even in a normally fast-moving meet and greet line, Colt didn’t seem that anxious to send any of us on our way, without having at least some kind of small conversation with us. And unlike many meet and greets I went through this summer, it wasn’t a ‘get your picture snapped with him and get out of here’ situation. He was more than happy to put his name on whatever we had for him to autograph. Those of you who have never gone to a Colt Ford show, because rap music just isn’t your thing – hey, it’s not my thing either! Yet, I can’t tell you when I’ve had more fun at a concert. 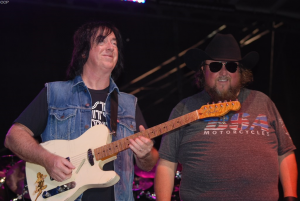 For all of you who are fans of Colt’s music – if you’ve never been to a show, you don’t know what you are missing. Colt on Twitter @coltford. If you aren’t already following Country’s Chatter on Twitter, we’d love to have you! You will find us @countryschatter. ​Visit our web site, too, at CountrysChatter.com.